When JDS Home Improvements decided it was time to shed their sub-contractor role of many years and propel themselves into a full-service remodeling and handyman firm what they had in hand was plenty of construction know-how. What they didn't have was any kind of identity to build upon. Without a quality logo, and an outdated web presence working against them, what was needed was a full-scale marketing ramp-up to match their ambitious plans and that's just what our team delivered. From a fresh logo, business cards, and high-impact sales kits for use in the field, to a full-scale web makeover, their results were dramatic. 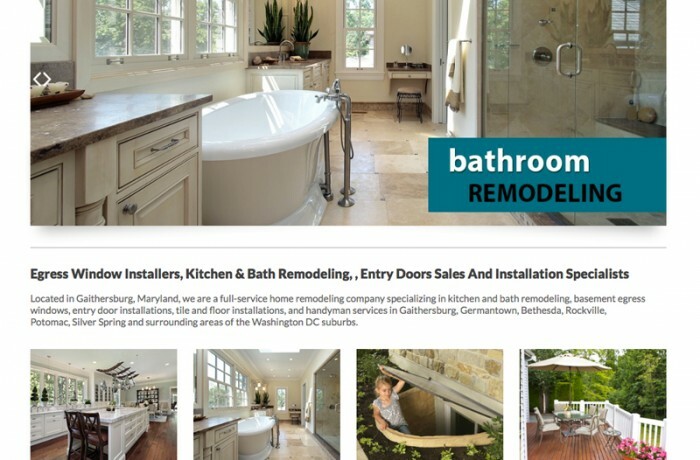 Now the lead firm on projects ranging from kitchen and bath remodels to renovations big-and-small, their construction calendar now enjoys a 5 month back-list of projects and unprecedented revenues. Do you have unique expertise in your field but need to find a way to spread the word while ascending to the forefront of your space. That's where we come in!